C16U-P-22 model shown above with covers removed. 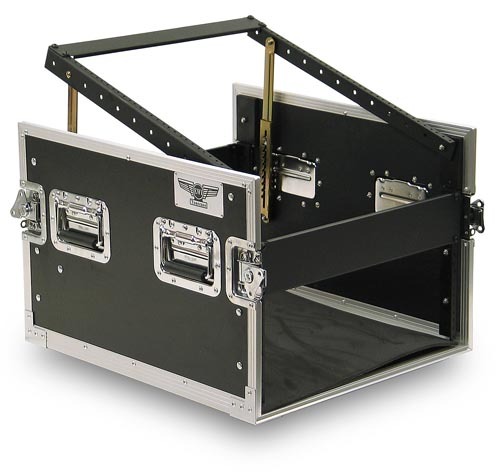 This is the EWI Tourcase tm Model C16U-P-22 combo rack case which has ratcheting 12U mixer rails mounted at the top of the case and a 22" rack depth measured from the front rack rails to the rear rack rails. 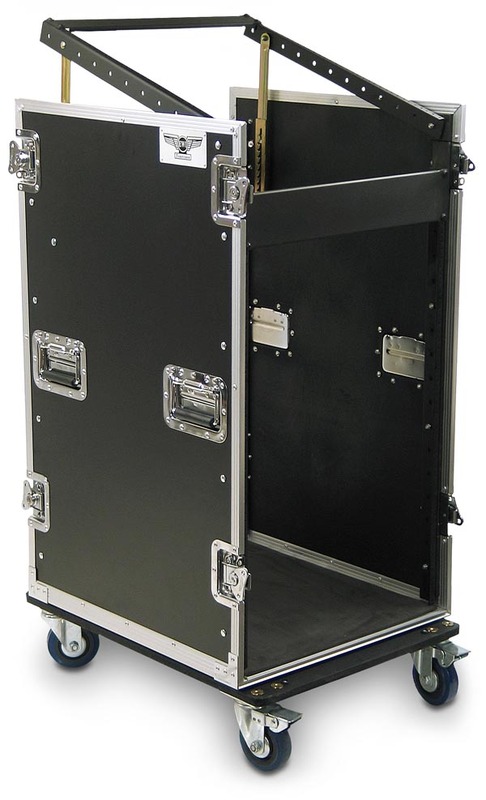 The CU-P-22 series side panels are constructed with 3/8 inch hardwood plywood and covered with a black ABS laminate finish. 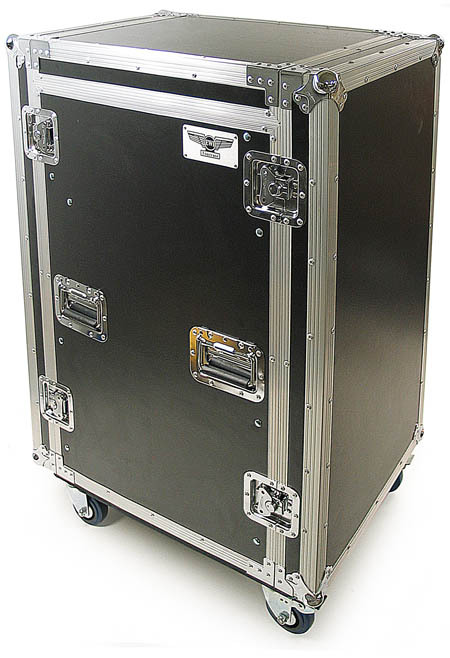 The extrusion is all aluminum and the case is assembled with aluminum rivets. The rivets on the 4 recessed padded flip handles are backed with washers to ensure strength and durability. 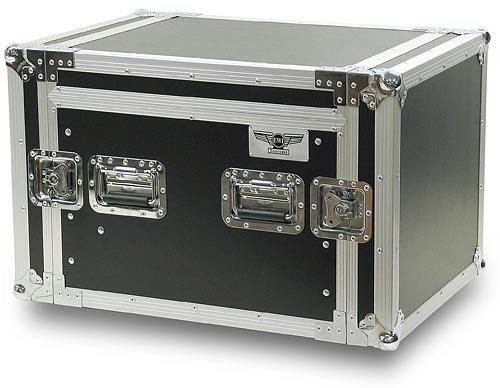 The cases roll on 4 heavy duty 4" swivel casters, two of which are braking style. The casters are shipped un-mounted with all mounting hardware included.